Check out Tobi's Not Your Girl Crop Top The Black Multi Not Your Girl Crop Top has it all going on. 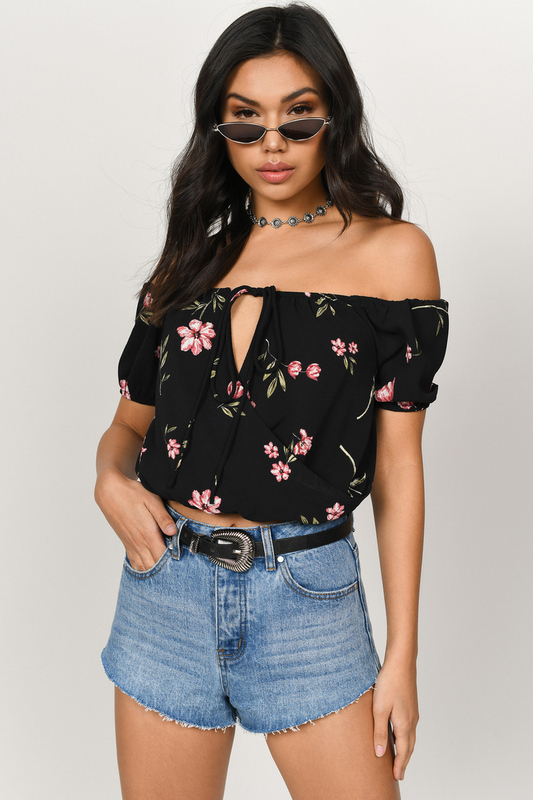 With ties that criss cross at the front and tie at the back, this floral crop top features a floral print with an off shoulder neckline, with an elasticated hem for volume. Pair this spring crop top with denim and booties to take you into fall. The Black Multi Not Your Girl Crop Top has it all going on. With ties that criss cross at the front and tie at the back, this floral crop top features a floral print with an off shoulder neckline, with an elasticated hem for volume. Pair this spring crop top with denim and booties to take you into fall.